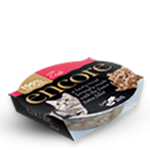 Encore is lovingly made with the very best ingredients – the finest chicken breast and tasty toppings like beef, liver, tuna or salmon. 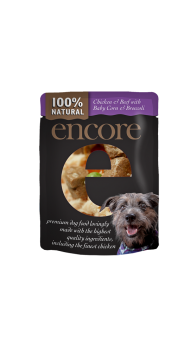 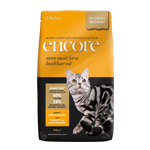 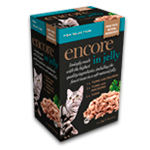 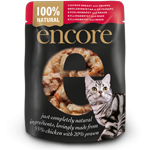 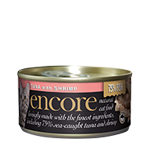 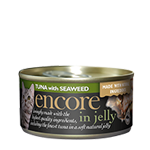 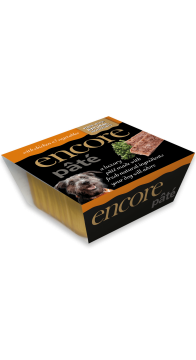 Encore is the real meat wet dog food with all natural ingredients, with tins containing succulent chicken breast and irresistible toppings. 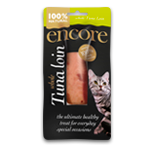 When we use tuna or salmon our fish is only ever caught from sustainable species using dolphin friendly fishing methods. 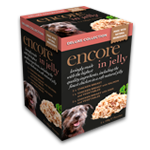 Encore complementary foods provide a great source of real meat which is essential your dog’s health and well-being. 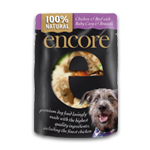 These recipes can be used with Encore complete wet and dry dog food for a balanced diet that’s absolutely delicious. 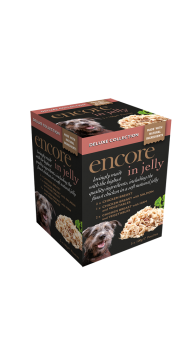 Encore Pouches have a unique see-through window so you can see the quality of the real-meat ingredients. 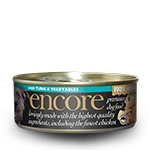 Recipes created to give your dog a variety to sample, from chicken to tuna. 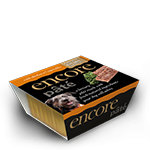 A complete dry food made with natural ingredients - grain free with 75% lean animal protein for a very healthy and happy dog. 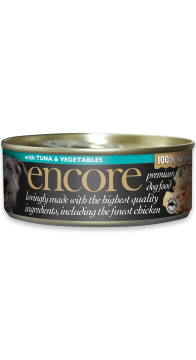 Every time you open a tin of Encore dog food, you can instantly see what sets it apart - only the finest ingredients.